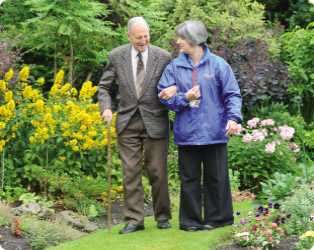 Lynedoch Care was established in Edinburgh in 2005 to provide high quality home carers and helps and then, based on the continuing success of our Morningside office, the company opened in Peebles in 2012. The company exists to improve the quality of life of our clients young and old. We do this by providing high quality, completely flexible and well designed care services; enabling people to maintain their independence and remain in their own home with any type of assistance required. Somewhat unique in approach, our company sees care services as a means to an end and NOT the end in itself. We develop a relationship with our clients and, as we do not work for local Councils, we have the capacity to deliver the benefits of better communication and flexibility. We specialise in highly personalised care packages with the aim of treating all our clients as the individuals they are. Through carefully considered individual planning, this person-centred approach to care enables our clients to enjoy a greatly improved quality of life. Perhaps you already have some care services from the Council? We can supplement these services by working alongside your current provision to give you what you want. We endeavour to provide whatever our clients require. Need a carer 24/7? We can do it. Want your home hoovered, dusted and the bathroom cleaned once a fortnight? We can do that too. So, whatever your need, or whatever your want - give us a call. Lynedoch Care - We Care For Life!